Ahorra $14.00 escogiendo la opción ahora. 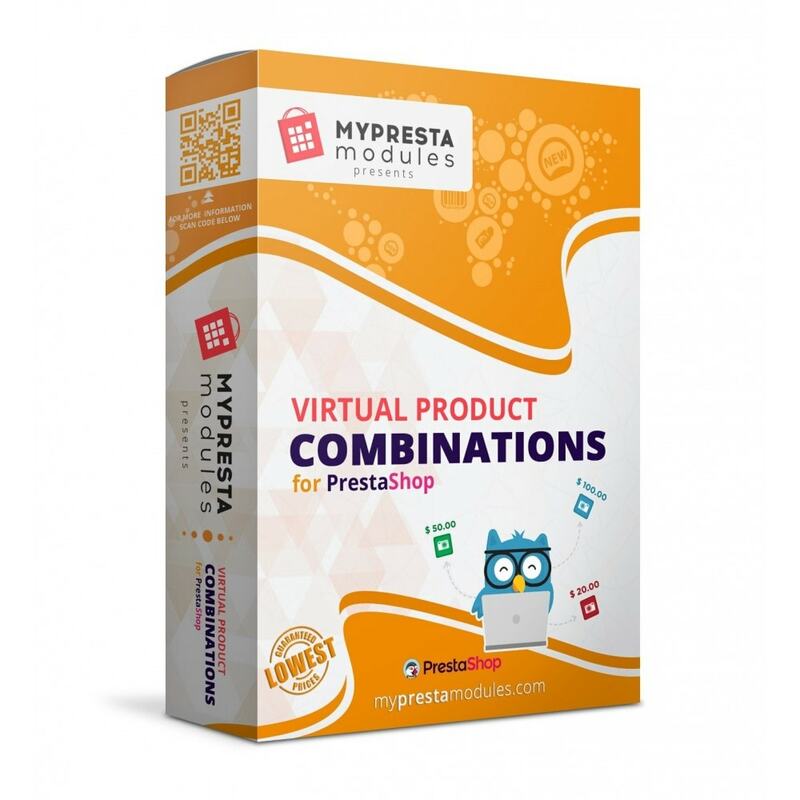 Generate new combinations for your PrestaShop virtual products. 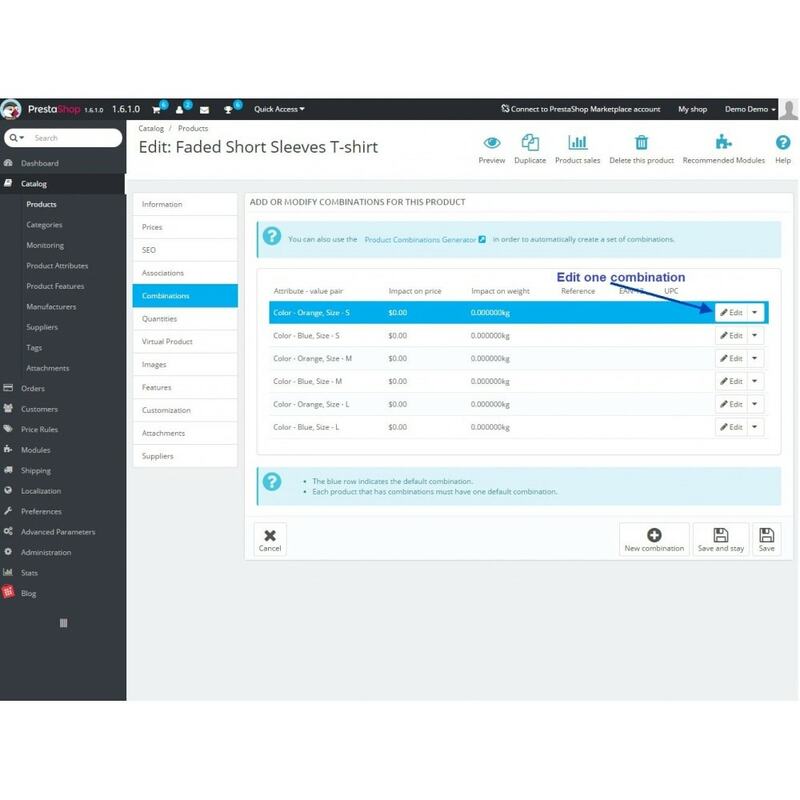 Easily upload associated files and let your customers obtain a full range of information on the products they are interested in. A good feature for any online market platform is its flexibility with respect to the creation of a full and coherent product profile. Never miss an opportunity to provide your customers with more specific data and smartly advertise your products. 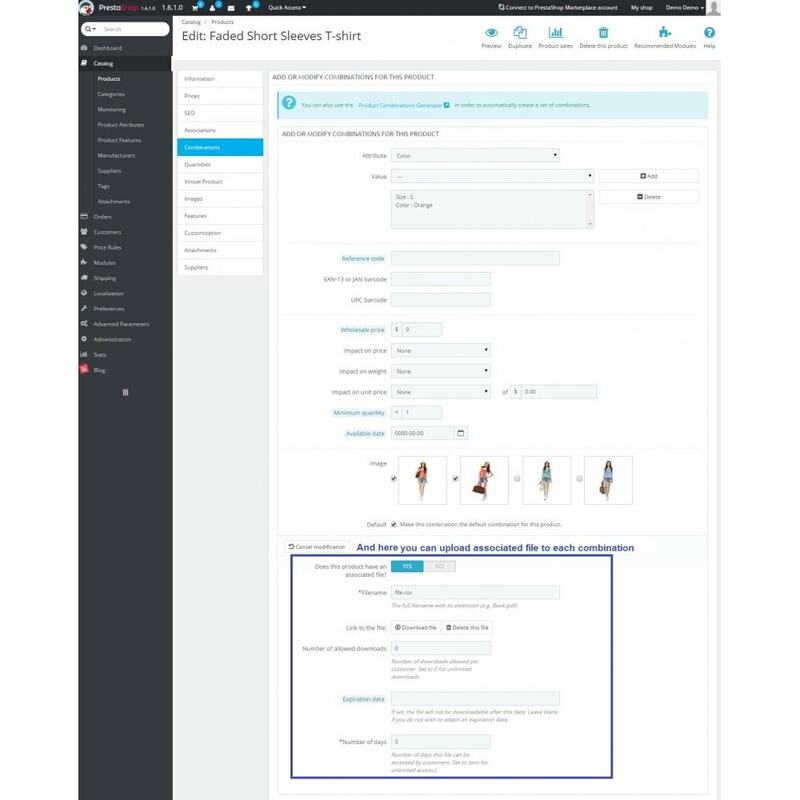 The proposed module allows you to create additional product combinations, its attributes and options, as well as upload separate associated files for each combination, which will be available for downloading after the product's purchase has been completed. 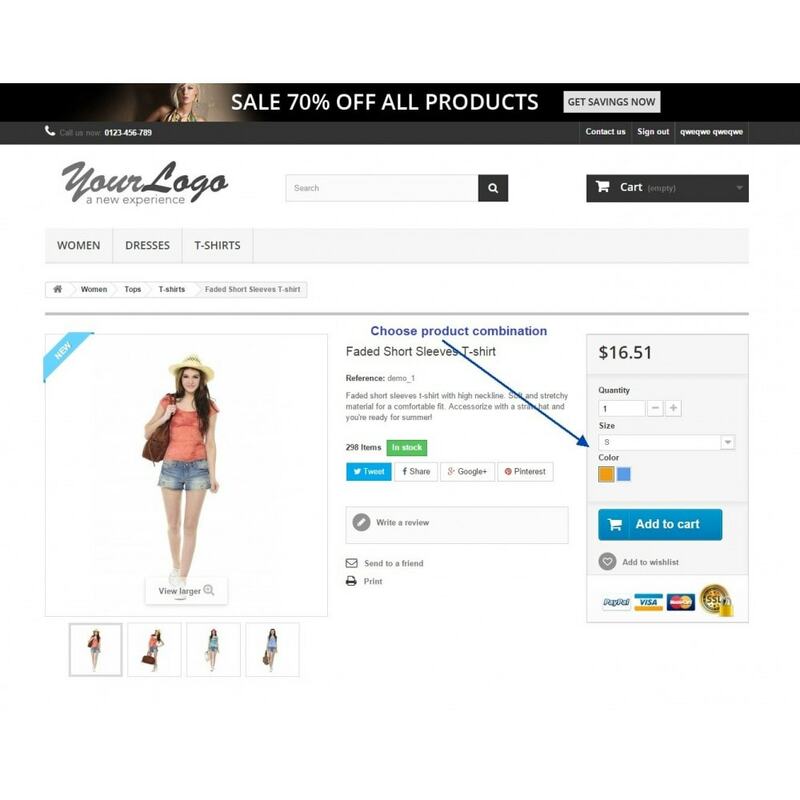 Make your customers feel confident and comfortable while shopping through PrestaShop. - upload associated files for each combination. While editing virtual products you can also upload the default associated files for them. 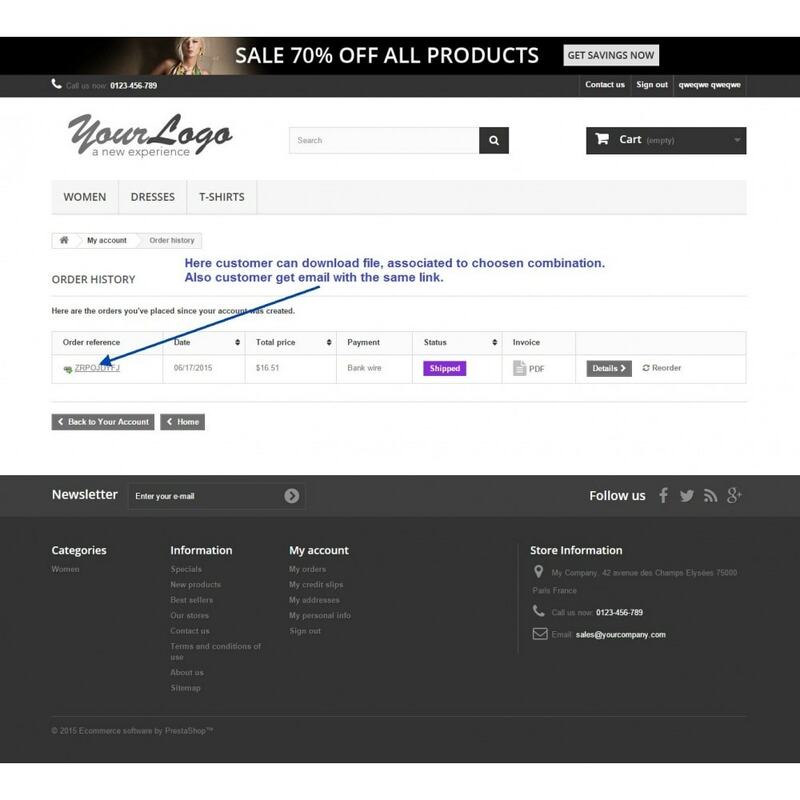 After the payment for the chosen product combination has been accepted, the customer can download the associated file and receive the corresponding web-link by e-mail. El más avanzado módulo receptivo mega menu Prestashop. El creador incorporado Drag&Drop permite crear fácilmente una navegación horizontal o vertical y un menú separado para los dispositivos móviles. This payment module allows you to offer payment by invoice to your customers, this option is attractive to customers without credit cards. Product Catalog (CSV, Excel) Import module is a convenient module especially designed to perform import operations with the PrestaShop products. The Orders Export Module allows you to do a CSV or EXCEL export of your data from your orders function. This module is also compatible for multi stores. Product Catalog Export/Update module is a convenient module especially designed to perform export and update operations with the PrestaShop products.